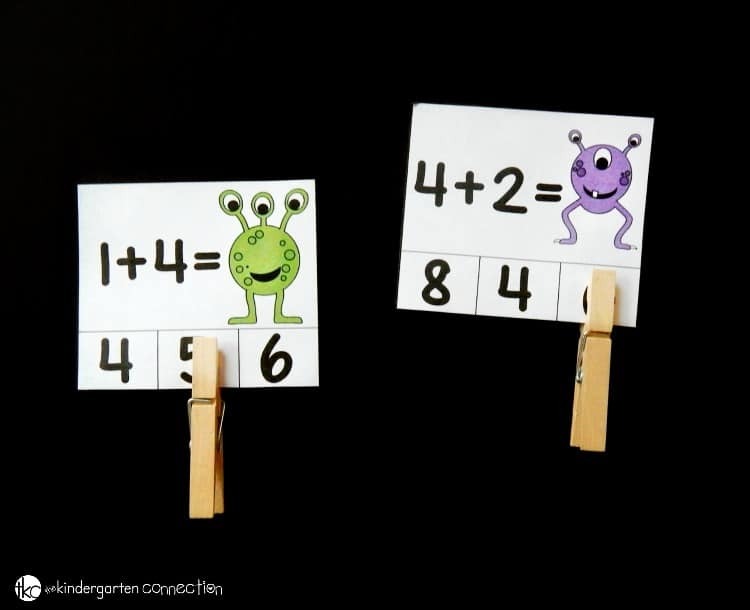 Monsters don’t have to be just for Halloween – these adorable monster math addition clip cards can be used for anytime learning fun! 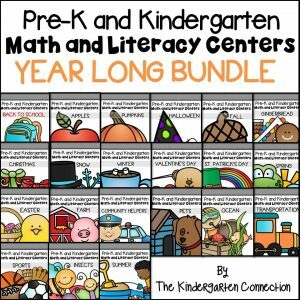 They are perfect for working on beginning addition skills in Kindergarten while building up fine motor strength at the same time. 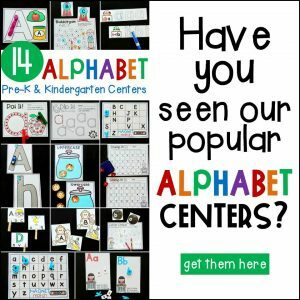 We are HUGE clip card fans – there are just so many possibilities with them and so many skills to learn on one simple card. 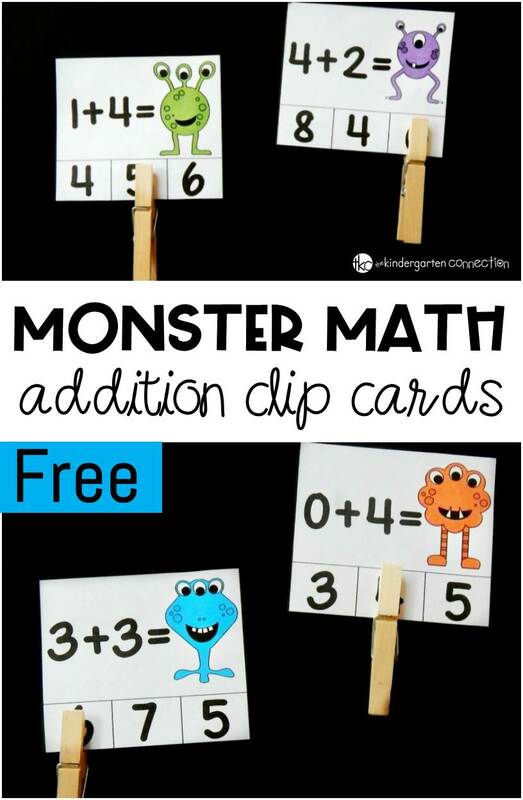 These monster addition clip cards are super simple to prep. Just print them out, laminate, and cut. 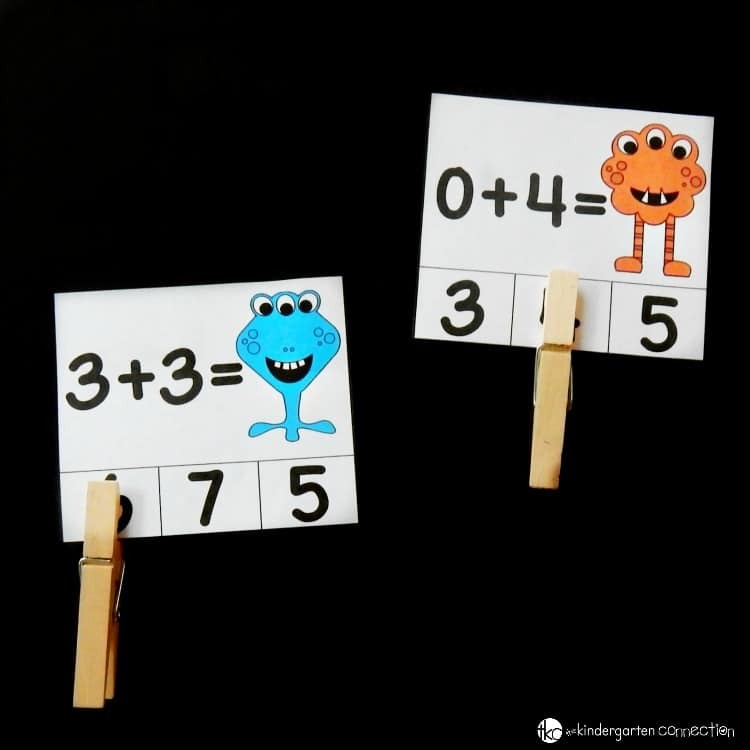 Once they are cut out, just add some clothespins and you have a math center ready to go! The friendly monsters take the place of the sum or total of the equation. Kids must solve the addition equation on the card, look at 3 choices of answers, and select what they think is the total. 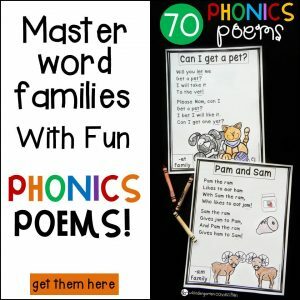 You can also make these cards self-correcting by marking the correct answer on the back with a dot or a small sticker. Then, when they are done, they can turn the cards over and see if they clipped the right spot! Ready for some monster addition fun? 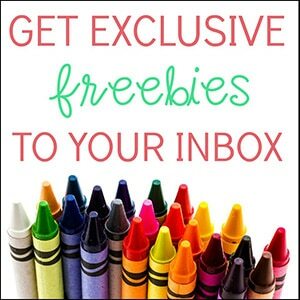 Grab your copy of the monster addition clip cards by clicking the yellow button at the very end of the post. 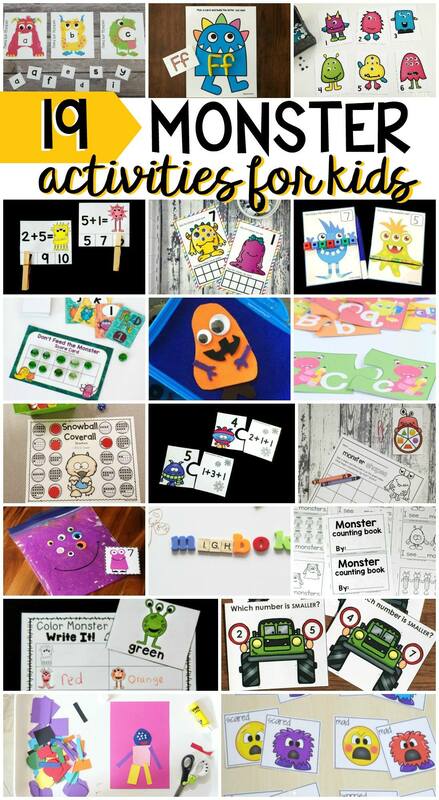 Then, hop over and check out tons of fun and free monster ideas your kids will love from some of my favorite kid’s activities bloggers!